Megan & Kaci were outstanding. Sold a Condo home in 2017 in Northville, MI. Patti was very knowledgeable about the Northville area and the Northville real estate market. Patti made selling my home a pleasurable experience. My house sold quickly and Patti's team made the closing process extremely easy. Sold a Single Family home in 2018 in Northville, MI. Patti is a phenomenal Realtor. Her Northville homes for sale and Sold signs are a testament to her ability to help clients quickly sell a house or negotiate for a buyer. If you're looking to buy or sell a house in Northville or Plymouth, she is the best resource. Northville features historic charm, vibrant entertainment, and first-rate schools and city services. 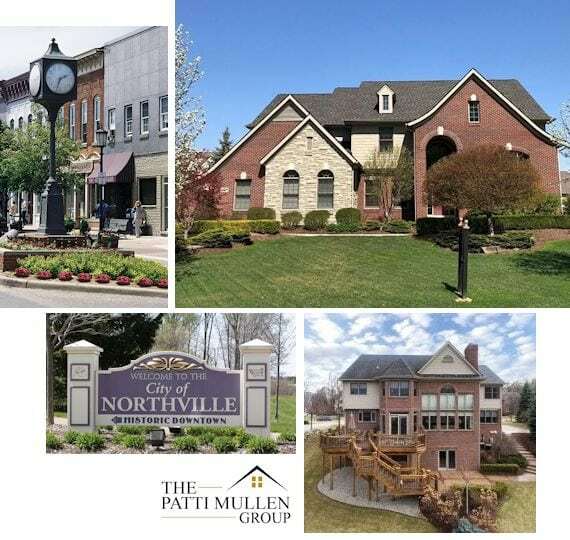 In fact, Northville real estate provides an option for everyone, from historic, Victorian area homes downtown to new construction neighborhoods with every amenity! Therefore, whether you’re looking for a home close to the historic downtown area, or a house with a quiet suburban atmosphere, we can help. As a result, if you’re looking to buy a home in Northville, contact the Patti Mullen Group and let our experienced realtors find you the perfect fit! 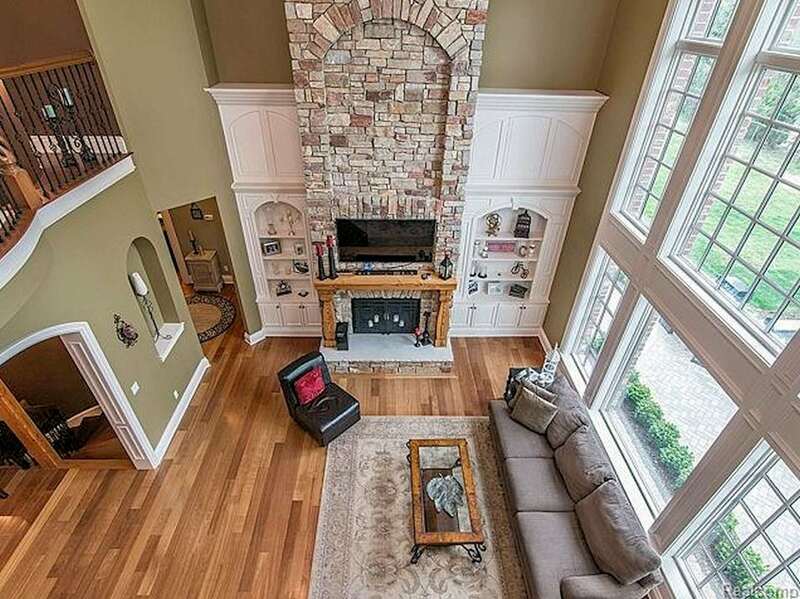 You may also check our active Northville home listings. Downtown Northville fully embraces its 150-year-old history. Preserved landmarks, brick pavers, and old-fashioned street lamps adorn downtown streets filled with 19th century Queen Anne Victorian style homes and historical downtown architecture. Visit Mill Race Historical Village and step back in time amongst Victorian buildings and beautiful gardens. Historical charm meets modern living in Northville’s walkable downtown which boasts art galleries, theatres, restaurants, and shopping galore! Whether you’re looking for a home close to the historic downtown area, or a house with a quiet suburban atmosphere, we can help. Contact Patti Mullen Group and let our experienced realtors find you the perfect fit! As a long time resident, and current member of the Northville Chamber of Commerce, Patti Mullen possesses a deep knowledge of the community. Additionally, our reputation as the area’s top realtors, allow us to quickly and effectively connect clients with potential buyers. Therefore, if you’re looking to sell a home, the experienced Northville Realtors at The Patti Mullen Group can streamline this process. Entertainment – Northville features year-round entertainment. Parks, trails, and greenspace are abundant in this active community, perfect for active adults and children. Spring kicks off the Northville Farmers Market, the Northville Flower Sale, the Northville Spring Carnival. Music fills the air each summer during the Friday Night Concert Series. Enjoy the best tastes of Northville during the Grub Crawl and Tapped Northville’s premier craft beer festival. Each September, Northville celebrates its incorporation and rich history during the Northville Heritage Festival. There’s no better place to spend the holidays than October in the ‘Ville and Hometown Holidays. Top-Rate Educational Opportunities – Quality education in the renowned Northville School District is where elementary aged students attend Amerman Elementary, Moraine Elementary, Ridge Wood Elementary, Silver Springs Elementary, Thornton Creek Elementary, or Winchester Elementary. Students then attend Meads Mill or Hillside Middle School, and Northville High School, all of which are fully authorized by the prestigious International Baccalaureate (IB) Organization as IB World Schools, offering the Middle Years and Diploma Program for all Northville students. Northville School Guide – Below is a list of elementary schools and high schools in Northville. Each item on the list has a link to that school’s website where you can find additional information if necessary. Patti Mullen has been a successful Realtor for the last 25 years and is consistently Remerica Hometown One’s top producing agent. A longtime Northville resident and Chamber of Commerce member, she is a huge supporter of the community and school system, sponsoring many local events and programs. Patti Mullen’s team consists of four full-time Realtors.